One more outfit from the weekend (the last one actually) and this one is from Saturday when we were running some errands. 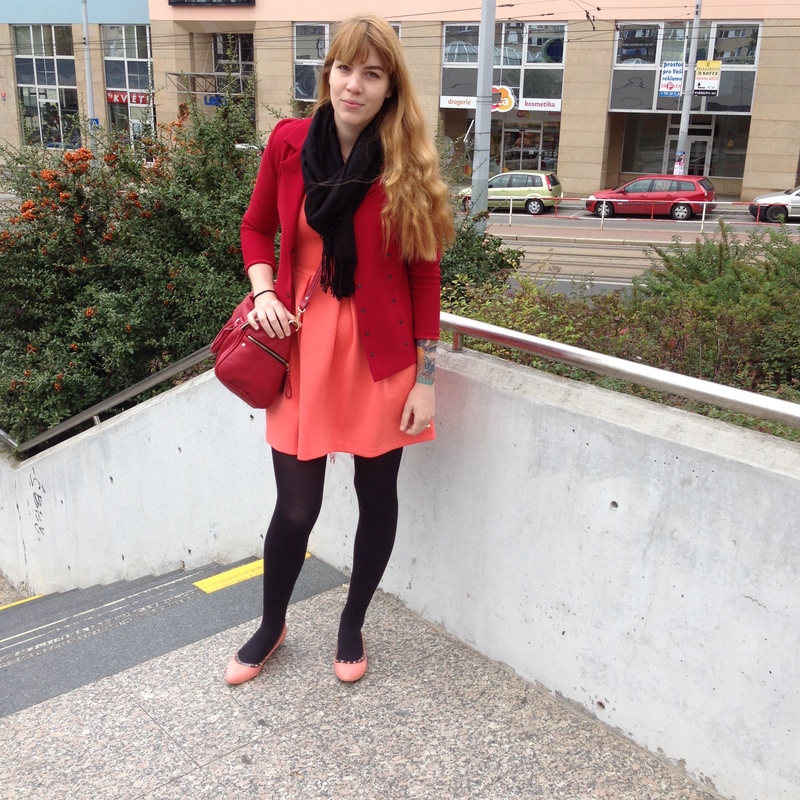 I wore my super cute Dorothy Perkins pointed toe coral flats. They have some really interesting studded detailing and they are really comfy so I really love these shoes. I bought these shoes as a sort of replacement pair for different coral flats (also from Dorothy Perkins, pictured below). They were the most perfect pair of crochet flats ever. I LOVE those shoes. I had to throw them out though as they were falling apart and were way past their prime, my replacement pair is completely different but I love them just as much. 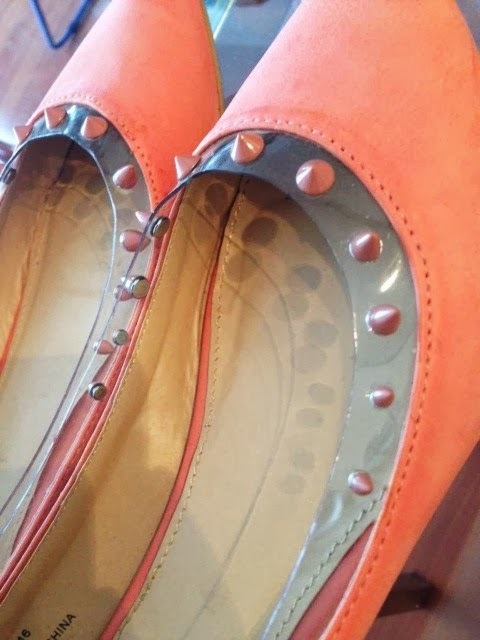 The last time I wore my pointy studded beauties (January this year) I paired them with the same dress, it doesn’t look it in the photos, but the shoes and the dress are actually almost the same exact shade of coral in real life. I love this January outfit, with the fake fur stole and the studded bag. It would be hard to top it but I like my recent outfit just as much. Such a cute outfit! I love it :)! 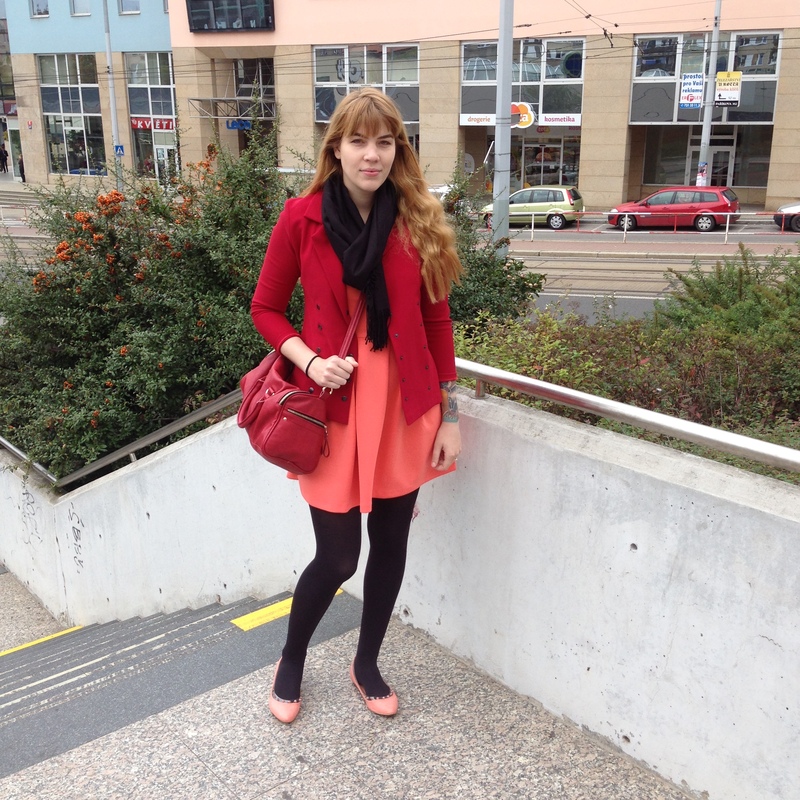 I would never think to pair red with coral, but you make it work. Love the older outfit.